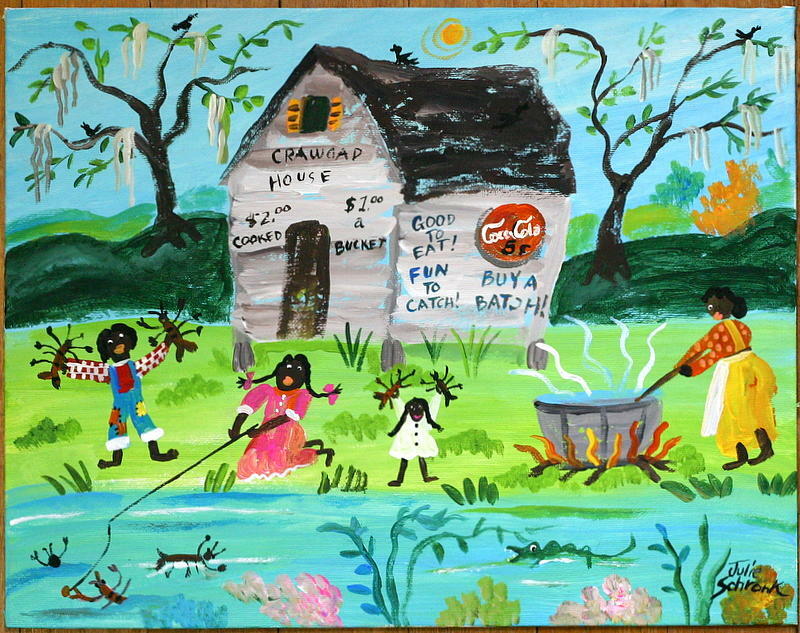 Bayou Livin' is a painting by Julie Schronk which was uploaded on January 15th, 2010. This is typical of the whimsical BAYOU art I paint. Soon, I will be placing folk art like this on this site...so please be watching! There are no comments for Bayou Livin'. Click here to post the first comment.